Tire, Tire's, & More Tires!!! We Are Your Place To Get Tire Help with all of your tire problems and Mobile Tire services! We have a huge professional tire supply network, which includes local Tire Shops and Tire Dealers, as well as online resources such as Tire Rack. We can help you locate new tires and wheels, We can also professionally install your new tires or rims on your vehicle, on-site at your location throughout the entire Des Moines Iowa Metropolitan area. At Fast T's Mobile Auto Service we pride ourselves in providing world class Tire Care, and Over the Top Customer Service Satisfaction! Your Fast T's Certified Tire Services are guaranteed to be professional, and surpass your expectations in what a Tire Service Shop provides. We will provide you with a Convenient, and Affordable Alternative to having your car towed, or taking it to a Tire Dealer in person. 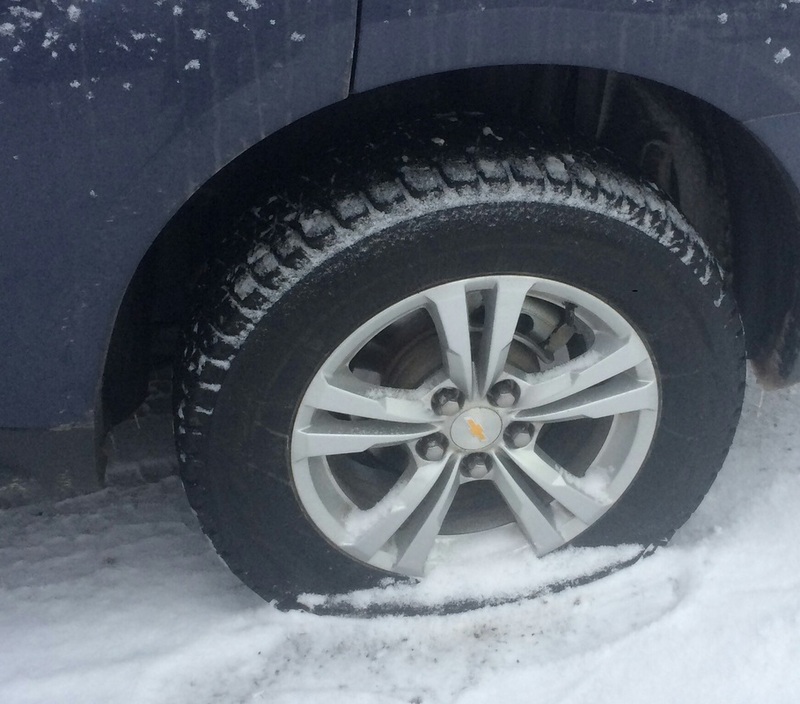 Our Tire Services are reimbursable by your Emergency Roadside Service insurance coverage, or AAA Roadside Assistance. You will be given a Digital Service Invoice to seek reimbursement for your Tire Change Service or Tire Servicing. Fast T's Automotive Tire and Wheel Service in West Des Moines, Des Moines Metro, & Central Iowa, will quickly respond to help you with your car or truck tire failures. We have been professionally replacing, repairing, mounting and balancing tires and wheels for over 25 years; thereby giving us the hands on tire servicing experience, and continuous training, as well as the proper tools and equipment to effectively help you with all of your automotive tire service needs. Many people have the capability of changing a tire, but to install a tire or wheel correctly takes the right training, certifications, and hands on experience. A wheels lug nuts should always be torqued to manufacturer recommendations, after installing it on a vehicle to the correct foot pounds with a torque wrench. Many 'tire shops' overlook this very important, and key procedure, to ensure your and your families safety. At Fast T's your safety always comes first! Secondly, manufacturers recommendations should always be followed, they are tested and true recommendations that keep your vehicle operating safely, and correctly. ​NEED MORE THAN 1 TIRE? NO PROBLEM!! WE CAN HELP!! WE HAVE WHAT ARE CALLED JACK STANDS. WE WILL LIFT YOUR VEHICLE WITH A FLOOR JACK, SAFELY PLACE YOUR VEHICLE ON JACK STANDS, BLOCK YOUR REAR TIRES, AND REMOVE THE PUNCTURED TIRE OR DAMAGED WHEEL OR TIRES; MEANWHILE CONTACTING FIRESTONE, TO GET YOU EXACT PRICING ON YOUR NEW TIRE/TIRES, PRIOR TO LEAVING. YOU WILL BE ABLE TO MAKE AN INFORMED DECISION, BEFORE PURCHASING YOUR NEW CAR TIRES, AND WILL BE GIVEN DIFFERENT TIRE PRICING OPTIONS. if you find yourself, with one or more flat tires on your car or truck, we are your place to get HELP with your Automobiles tire Service, and REPLACEMENt/Installation needs. ​Our experienced, Certified, and trained Tire Servicing Technicians can help! ​Our CERTIFIED mobile Tire service specialists will come to you, remove the bad tires and wheels from your car, and take them into one of our local tire dealers to be repaired or replaced. ​our tire service UTILIZES local businesses. We work very closely with Firestone Tires, Tires Plus, Tuffy's, & Walmart Tire & Lube to name a few. Our Auto tire service has PARTNERED with local tire DEALERS in west des moines, and though out the entire Des Moines iowa Metro Area. ​Fast T's Mobile Tire Service works VERY CLOSELY WITH FIRESTONE Automotive of West Des Moines, and DES MOINES iowa. Most often times, we can get your tire replaced quicker, and more convienantly than if you had to take your car to the tire shop. Click on ​HIGHLIGHTED text TO SEARCH FOR YOUR NEXT NEW CAR TIRE, OR TRUCK TIRES, at FIRESTONE AUTO CENTER OF WEST DES MOINES WEBSITE. FIRESTONE TIRES OF WEST DES MOINES IS OUR CLOSEST PARTNER, THEY CARRY A LARGE VARIETY OF TIRES IN STOCK, AND IF THEY DO NOT HAVE IT, THEY CAN GET IT. FIRESTONE ALSO OFFERS FULL SERVICE AUTOMOTIVE MAINTENENCE AND REPAIRING. 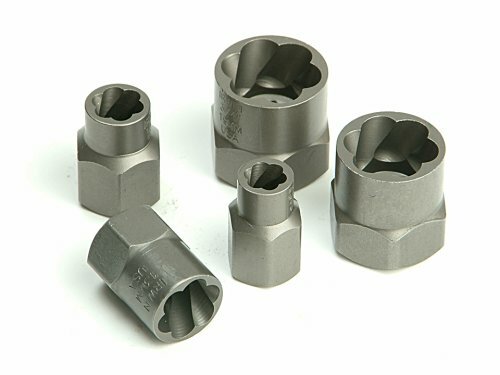 We have the proper tools and equipment to remove stripped or rounded lug nuts! 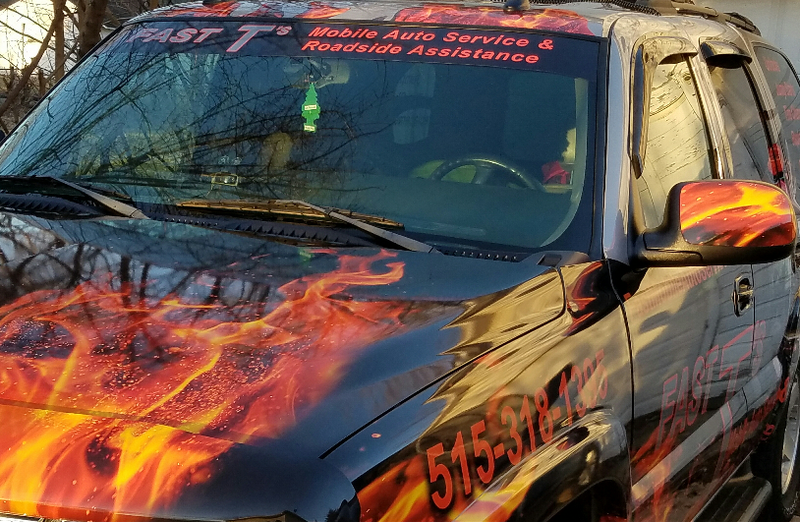 Fast T's Mobile Auto Tire Change Service Of West Des Moines, IA- Will Quickly Air Up Or Change, Or Replace, Flat Tires On Cars & Trucks in West Des Moines, IA. & All Surrounding Communities In Central Iowa Including But Not Limited To~ Des Moines IA, Adel IA, Ankeny IA, Altoona IA, Pleasant Hill IA, Waukee IA, Norwalk IA, Urbandale IA, Clive IA, Johnston IA, Grimes IA, Windsor Heights IA, Beaverdale IA, & MORE! Who Can Quickly Change My Flat Tire, And Put On My Spare Tire? Fast T's Mobile Tire Change Service Can! Fast T's Tire Change Service Will Quickly Respond With Expedited Urgency, Remove The Flat Tire- Wheel, Install Your Spare Car Or Truck Tire; Thereby Helping You To Have A Better Day! Fast T's Automobile Tire Servicing of West Des Moines, IA. Will respond with an Expedited Response, quickly Change your Flat Tire, & Install your Spare Tire. We also offer Tire Repair & Tire Replacement Services. Our Specialized Tire Technicians will have you "Back on the Road in No Time at the Always Affordable Price!" Home of the $50 Tire Service Call! Fast T's Flat Tire Change And Tire Replacement Service!